Children now seem able to do and learn almost anything. Physically, children now have the same proportions as adults and their proprioception and sense of balance grow better every day. School aged children can master basic coordination skills such as running, climbing, balancing etc. because their range of skills is so broad, it’s important to offer a wide diversity of agility and coordination challenges. 6 to 12 year olds develop an increased understanding of other people through conversation and cooperation. They can manage play in bigger groups, and gradually grow from role play to “rules play”. Games with rules are hugely popular and well understood, with school children enjoying positive competition.Through games with rules they can learn to win and lose in a balanced manner, considering others. 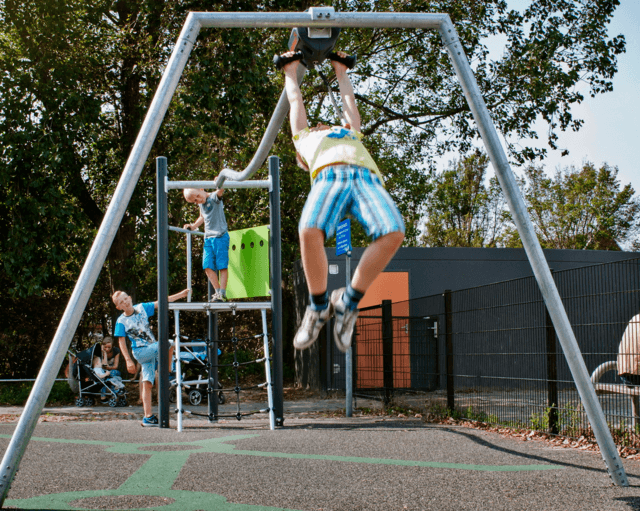 But they also strive to exceed their physical comfort zones to gain even more skills, which should be considered when planning the playground. Recent research shows that important life skills are learned easily through play. Waiting for your turn may be hard in the classroom but turns out to be much more understandable in the playground. 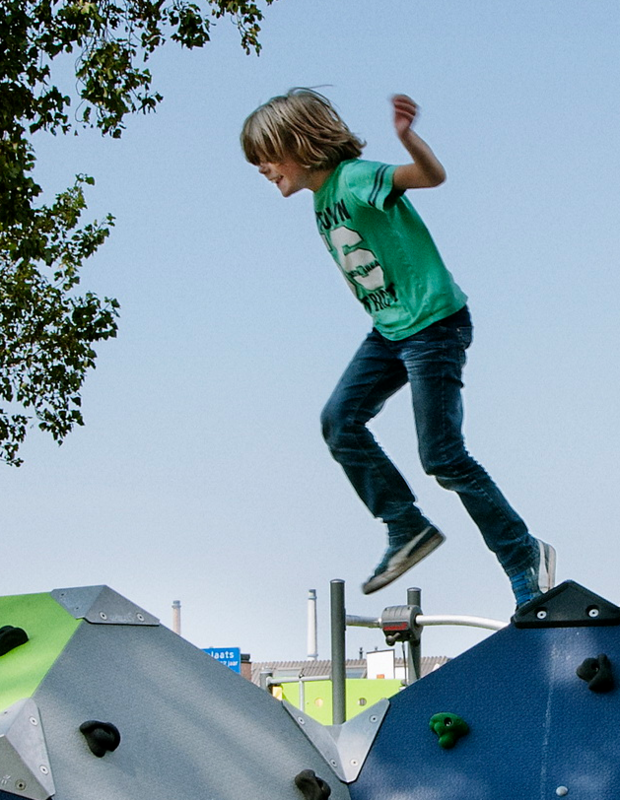 Outdoor play environments, with age appropriate and varied play challenges, assist the concentration and readiness to learn within this age group.